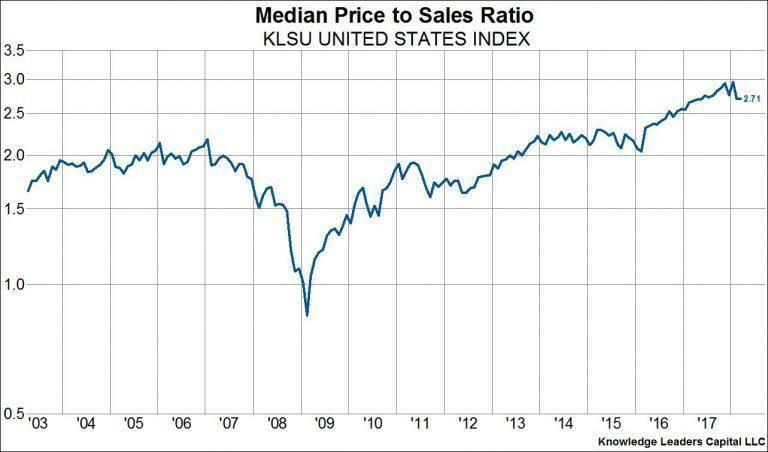 Another month and another new high in equity valuations, at least relative to sales. 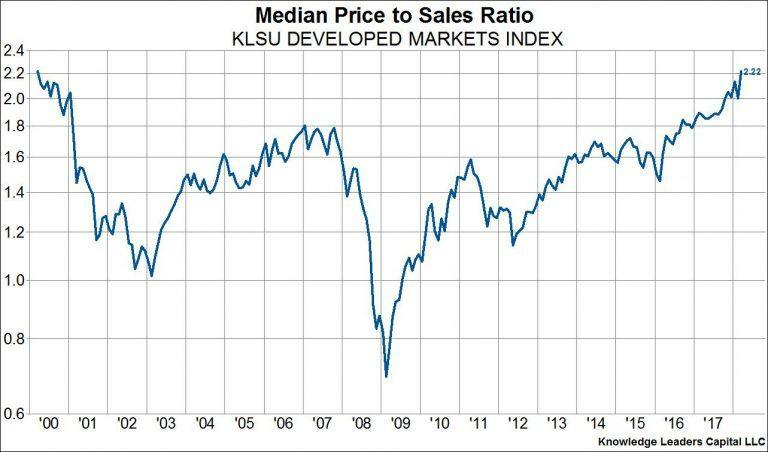 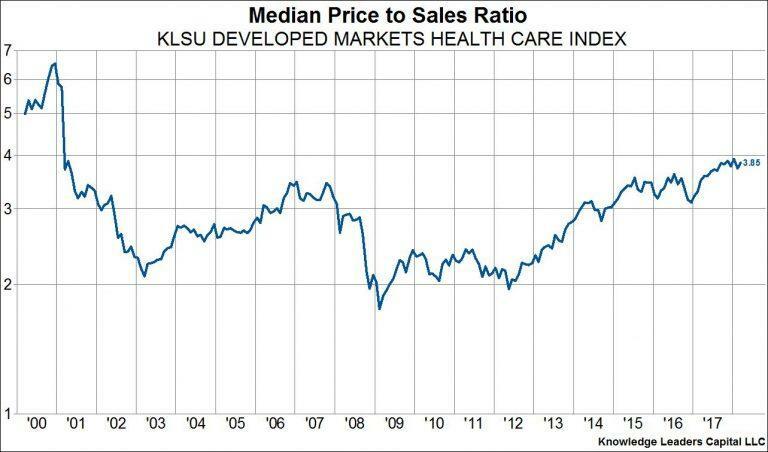 Indeed, the median company in our developed world index (which covers the top 85% of companies in each country) just achieved a price to sales ratio that eclipsed the 2000 peak. 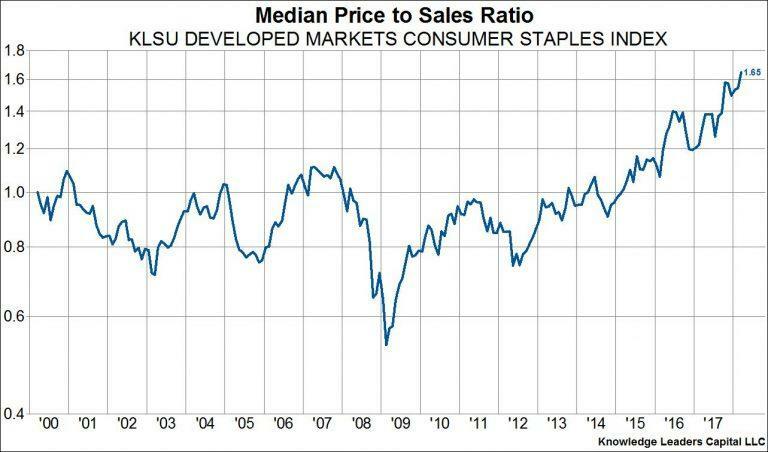 There are of course fundamental reasons for this ranging from low interest rates to high profit margins, but the fact that valuations today exceed peak bubble valuations of 2000 is a tough nut to swallow for equity investors expecting to achieve an historically average 7% annual rate of return. 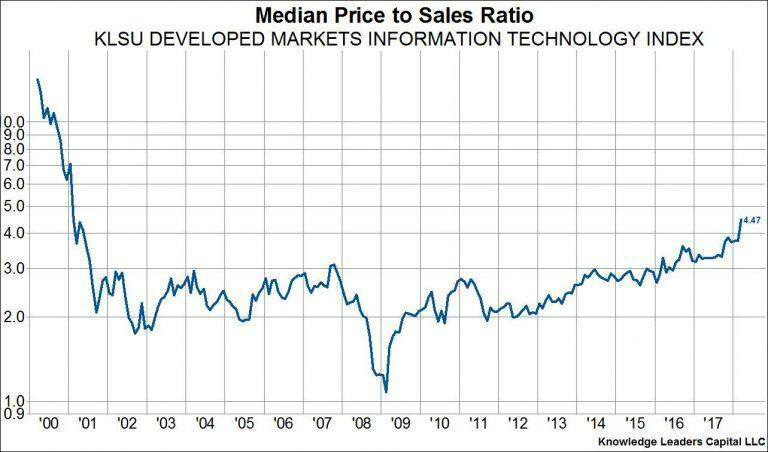 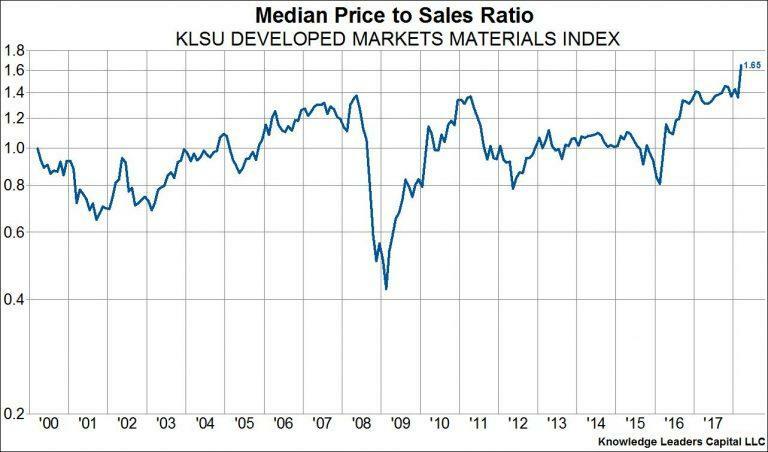 What’s more, unlike in 2000 when the median valuation was driven higher primarily by tech stocks, leaving plenty of “value” areas to flock to, valuations today are extended across the board, from staples, to industrials to tech to materials. 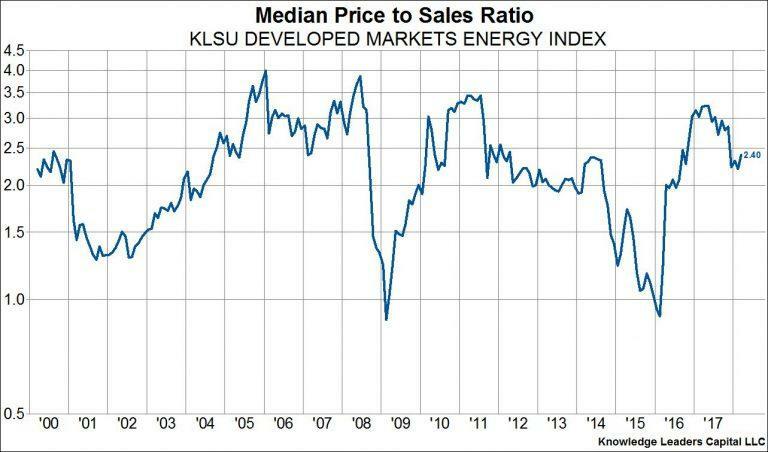 Save energy as the one sector without peak, or near peak valuations. 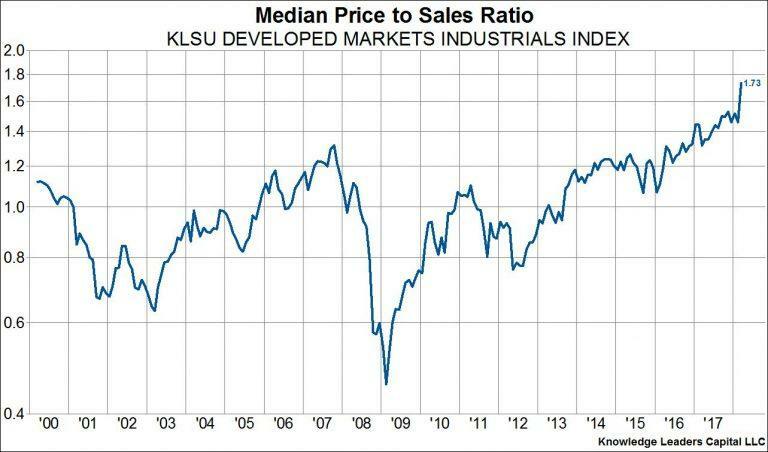 This scenario should put ever more importance on stock picking and risk management going forward.